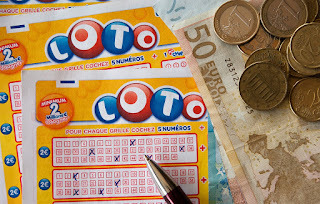 Home > Charles Rotblut > How Much Is a Lottery Ticket Worth? Those of you who are quick with arithmetic have already summed up the total expected value of the Mega Millions ticket: $1.97. The expected value for a ticket bought before the drawing was the $0.25 for the non-jackpot prizes and $1.72 for the jackpot. Even with a $521 million jackpot, the expected value of a Mega Millions ticket is less than the cost of a ticket. Such an outcome suggests that those who bought tickets lacked the opportunity to win a jackpot large enough to justify the risk. The expected value for a Mega Millions ticket does not equal the $2.00 cost until the jackpot reaches $530.5 million. Powerball reaches the $2.00 expected value mark sooner with a jackpot of $490.7 million because the expected value for its fixed payouts is higher. Jackpots below these levels do not justify the purchase of the stock from a weighted-odds standpoint. The impact that the size of the jackpot has should be very apparent. This has significance for investing as well. The riskier the investment is, the higher the required return to justify the excess risk must be. And the higher the required return is, the greater the likelihood of not realizing that return is. This is why so-called “lottery stocks” and similar types of securities are risky. For every Facebook, Apple, Netflix and Google (now Alphabet), there is a very large number of companies that flounder. While it may be hard to assign exact odds, a person can use historical data to judge when a projected rate of growth is unusually high. Adding basic industry and economic research can add to the scenario analysis (e.g., is realistic for the company to sell $X dollars of its product or service). Even when you lack the data necessary to calculate an expected value, you should be able to gather enough information to place some odds on whether an “everything goes right” scenario will or will not occur. For returns large enough to justify the risks, the “everything goes right” scenario is often necessary. When doing such analysis, be aware of the element of luck. Just as every lottery jackpot has an eventual winner, the odds of losing everything spent on a lottery ticket always remain steady at 96%. The same principle applies to investing in high-risk stocks and securities: While a few will realize huge returns, most will end up losing most of their value.